Schedules of Drugs & Cosmetics Act from A to Y with their short description used in Indian pharmaceutical manufacturing. 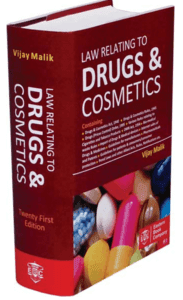 Indian pharmaceutical GMP guidelines are given in Drugs & Cosmetics Act 1940. Rules are given for pharmaceuticals and schedules are there to comply with those rules. MINISTRY OF HEALTH AND FAMILY WELFARE (Department of Health) updates this time to time. Pharmaceutical industries in India those are manufacturing the drug products for domestic market have to follow the Drugs & Cosmetics Act. It contains 168 rules from 1 to 168 and 25 Schedules from Schedule A to Schedule Y. Different type of forms is also given for the different type of approvals from drug authorities. Schedule D(I): Information and undertaking required to be submitted by the manufacturer of his authorized agent with the application form for a Registration Certificate. The format shall be properly filled in for each application in Form 40. The detailed information, secret in nature, may be furnished on a computer floppy. Schedule D(II): Information required to be submitted by the manufacturer or his authorized agent with the application form for the registration of a bulk drug/formulation/special product for its import into India. The format shall be properly filled in and the detailed information, secret in nature, may be furnished on a computer floppy. Schedule J: Disease and ailment (by whatever name described ) which a drug does not purport to prevent or cure. 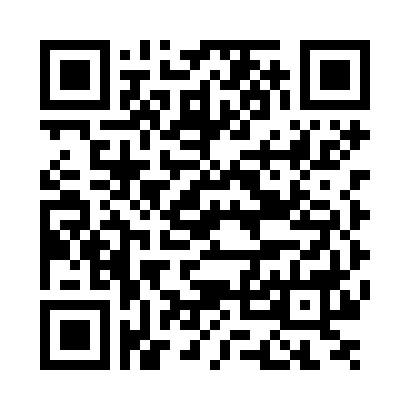 Schedule M: Good manufacturing practices and requirements of premises, plant and equipment for Pharmaceutical product. Part I: Good manufacturing practices for premises and materials. Part I-A: Specific requirements for manufacture of sterile products, parenteral preparation (small volume injectables and large volume parenterals ) and sterile ophthalmic preparation. Part I-B: Specific requirement for manufacturing of oral solid dosage forms (Tablet and Capsules). Part I-C: Specific requirement for manufacture of oral liquids (Syrups, elixirs, emulsions and suspensions). Part I-F: Specific requirements of premises, plant and materials for manufacture of active pharmaceutical ingredients ( Bulk Drugs ). Part II: Requirements of plant and equipment. Schedule M-I: 1. Requirements of factory premises for manufacture of homoeopathic preparations. 2. Requirements of plants and equipments. Schedule M-II: Requirements of factory premises for manufacture of cosmetics. Schedule M-III: Requirements of factory premises for manufacture of medical devices. Part I-C: Specific requirement for manufacture of oral liquids ( Syrup, elixirs, emulsions and suspensions). Part I-F: Specific requirements of premises, plant and materials for manufacture of active pharmaceutical ingredients (Bulk Drugs). Schedule S: Standard for cosmetics. Schedule T: Good manufacturing practices for Ayurvedic, Siddha and all Unani medicines. Schedule U: I – Particulars to be shown in the manufacturing records. II – Records of Raw Materials. III – Particulars to be recorded in the analytical records. Schedule U(I): I – Particulars to be shown in manufacturing records. II – Records of Raw Material. Schedule V: Standards for patent or proprietary medicines. Schedule Y: Requirements and guidelines for permission to import and/or manufacture of New Drug for sale or to undertake clinical Trials.